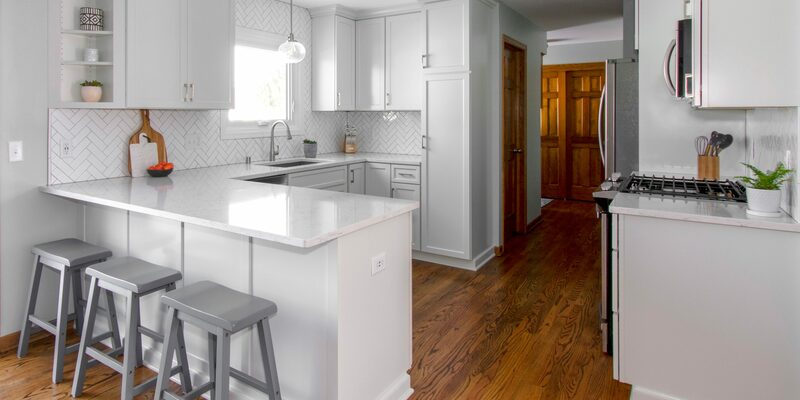 A Waukesha family wanted a bright, white kitchen. The original space lacked functionality and didn’t suit their design style. It had brown laminate counters, a beige backsplash and the soffits made the space feel tight. 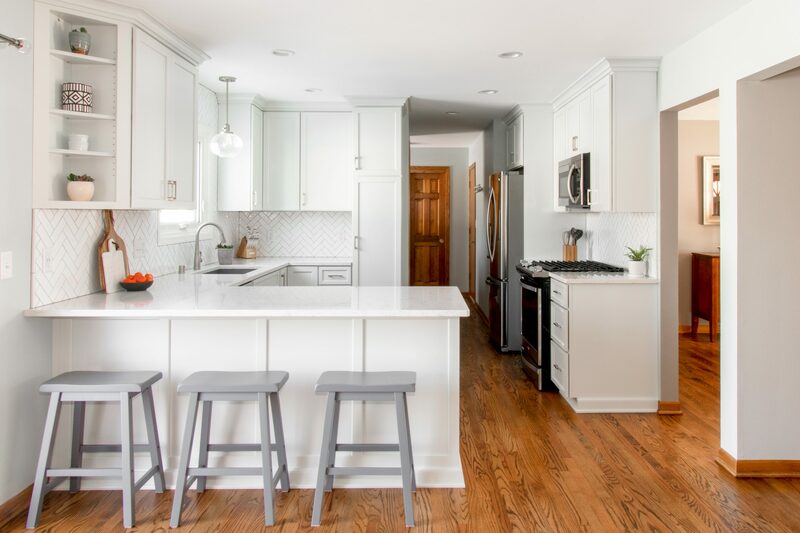 The kitchen is classic and timeless with white shaker cabinets and white counters. The new design adds storage, counter space and feels more open. We removed the soffits and took the cabinetry to the ceiling. We also made the peninsula larger to accommodate seating. The focal point of the space is the gorgeous herringbone backsplash. It adds pattern and texture to the all-white kitchen. The seeded glass pendant light over the sink also matches new lighting in the dining room and foyer.